In 2001 they released the album "Farmout" with the big Hit-Single "The Spirit Of The Hawk". ( 2001)- in 2003 they released Best of the West compilation. IN 2009 Scarlet Dagger, Ace Ratclaw and Joe Cagg took back to the stage after a small break and are currently toruing the globe. 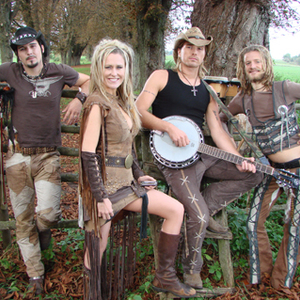 There have been many reports of old members passing off as rednex in shows and some have even been listed here in tour schedule. Please be careful ... if these shows are not listed as Scarlet Dagger Ace and Joe Cagg.. then it is NOT the real Rednex that is today supported by REDNEX AB- the one and only official holders of the trademark.